Home Physio Resources Is central sensitisation a feature in tendinopathy? We’ve had some great questions following our free video series on achilles tendinopathy. There’s been discussion of the role the kinetic chain plays on Twitter (thread available HERE) and a cracking question on Facebook; Is central sensitisation a feature of tendinopathy? In today’s blog we’ll try to answer this with some help from our Facebook Live video below. Our Running Repairs Online Course will be available again soon… Join our waiting list for release dates, special offers and more! CLICK HERE to find out more about our free video series on achilles tendinopathy. The involvement of psychosocial factors doesn’t guarantee that central sensitisation will be a feature. Tendon pain, especially in the lower limb, tends to be well localised and fairly load dependent (i.e. painful during activities with higher tendon loads). Local nociception may be a key factor in tendon pain, however some features, such as tenderness to palpation may suggest some central involvement leading to hypersensitivity to load but typically without spread of symptoms. Plinsinga et al. (2015) suggested there may be an association between persistent tendon pain and sensitisation of the nervous system, however this is based largely on evidence in upper-limb tendinopathy and may not be the case in the lower-limb. Hypersensitivity of senses unrelated to the musculoskeletal system e.g. bright light, sound smell, heat or cold. Nijs et al. (2014) also recommend excluding neuropathic pain which can present with some of the above features. They include a useful table that helps in differentiation. In addition to identifying central involvement we often need to try and find the drivers behind it. Assessing a patients beliefs and attitudes towards pain is an important part of this. In our Tendon Health Questionnaire, TendonQ (below), we have questions about mental wellbeing and concerns about tendon damage. These often reveal persistent worries about damaging the tendon and the affect this has on daily life. The Pain Catastrophising Scale is a useful tool that also helps assess a patients outlook towards pain. Higher scores (typically above 30 out of 52) indicate clinically significant levels of catastrophisation. 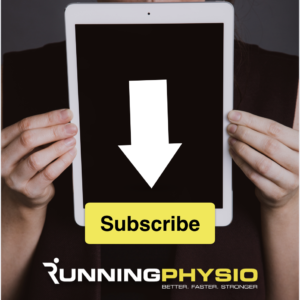 To draw this piece to a close we have a nice summary from fellow runner and physiotherapist Dr Derek Griffin who specialises in management of persistent pain. Follow Derek on Twitter via @DerekGriffin86 and check out his previous work for us on exposure therapy and pain in runners. “The pain associated with tendinopathy is most often attributed to peripheral sensitisation. It is well established that ongoing peripheral nociception is a potent driver of central sensitisation (Baron et al. 2013). The role of central sensitisation is well established in the upper limb (Plinsinga et al. 2015), although evidence is emerging in relation to the lower limb (Tompra et al. 2015). This is also supported by experimental evidence (Gibson et al. 2006). Therefore the suggestion that tendinopathy is not associated with central sensitisation is biologically questionable. Isometric exercise has gained popularity as a way of reducing the pain associated with tendinopathy (Rio et al. 2016). The most likely mechanism is a reduction in temporal summation (i.e. a central phenomenon) (Vaegter et al. 2014), further suggesting a role of the central nervous system in tendinopathy. It is also well established that isometric exercise is less effective and potentially hyperalgesic where central sensitization is more involved. This has recently been shown in a study involving patients with lateral epicondylalgia (Coombes et al. 2016). This suggests that the response to isometric exercise is not universal in tendinopathy and may depend on the underlying mechanisms involved in the clinical presentation. For more on person centred care see our free 1 hour webinar, available HERE in full.